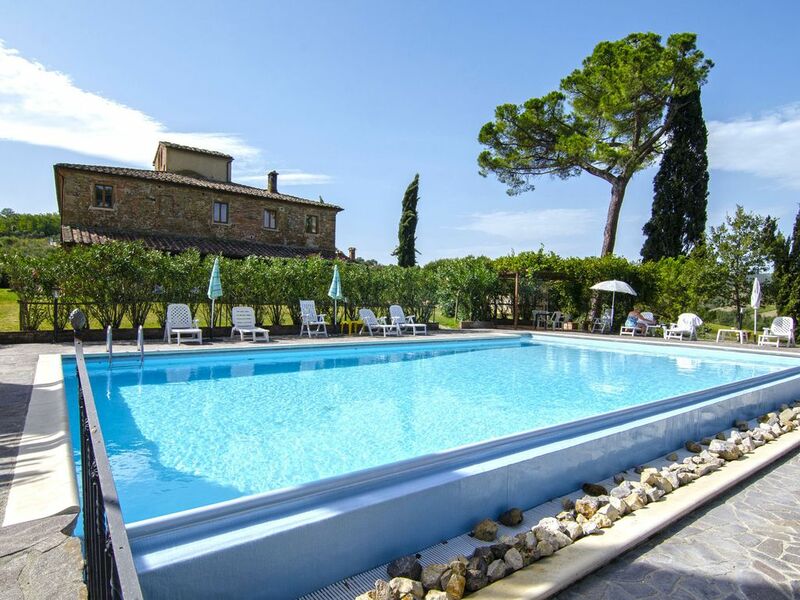 This beautiful holiday complex with pool is located 2 km from the beautiful medieval village of Torrita di Siena, in the heart of the Val di Chiana. The complex is surrounded by its vineyards and olive groves, as well as a beautiful, large park. The farmhouse consists of 10 comfortable apartments, all overlooking the pool or the countryside, simply furnished, some with terracotta tile floors and wood-beamed ceilings. The apartments are either ground floor or first floor, with private garden area for al fresco dining. In the garden there is also a barbecue and swimming pool (14x7 open mid-May-Sept), the solarium enjoys a breathtaking view over Torrita of Siena and the surrounding countryside. Deposit € 100 to be paid locally. Tolle gefegte Wohnung, wie auf den Bildern ersichtlich. Sehr nette Vermieter die sich um alles kümmern. Der Pool ist sehr gepflegt und war der Mittelpunkt der Kinder. Gas, Strom Wasser, Endreinigung, Bett und Toilettenwaesche sind inkl, Kaution € 100 vor Ort zu bezahlen.